I am so thrilled today that my amazing assistant, Meg Thatcher, is contributing with this lovely post. Meg graduated from TCU and is currently a graduate student at Dallas Theological Seminary where she is getting her Masters in Christian Education. When she’s not studying she’s helps keep DoSayGive (and me!) running smoothly. 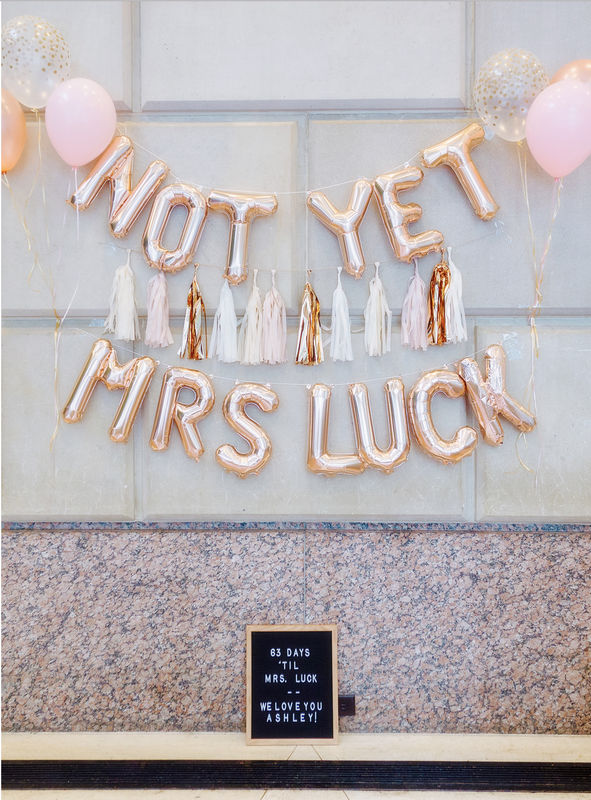 She is newly married and in a stage where many of her friends are getting married so it’s great to have her perspective on all things wedding! 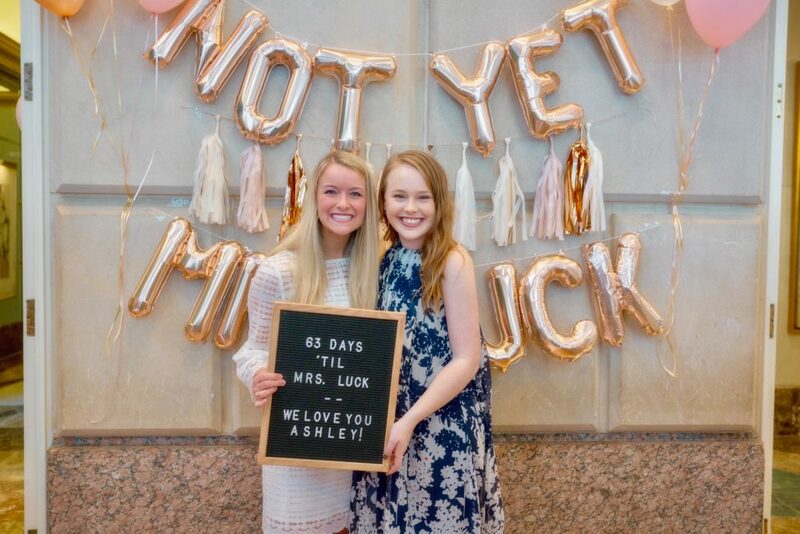 Today she is sharing photos from a recent bridal shower she hosted with her mom for her friend, Ashley Jarvie. Hosting a shower can either be so fun or can become a huge financial burden to the point where you lose sight of the reason that you are doing it. So many of my friends have recently gotten married or are newly engaged. 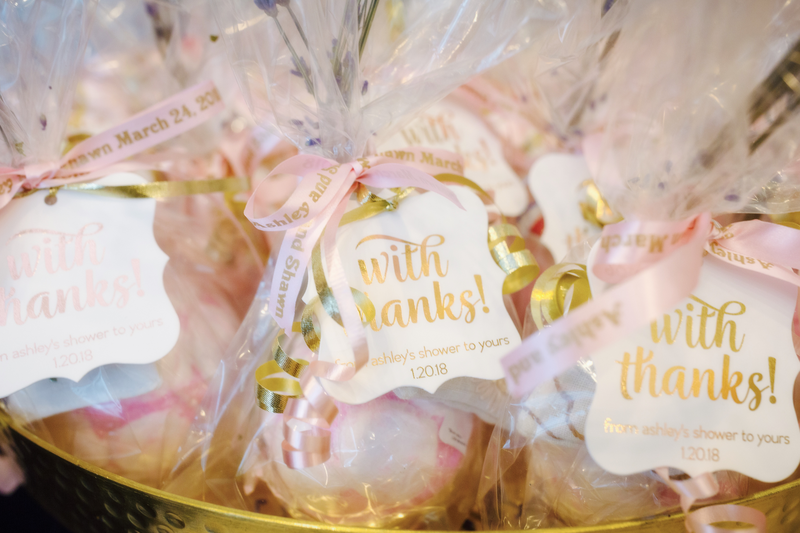 My mom and I have become quite experienced in throwing showers and I am excited to share my top 10 tips for throwing the perfect shower. 1. It is all about the bride or the mom-to-be. 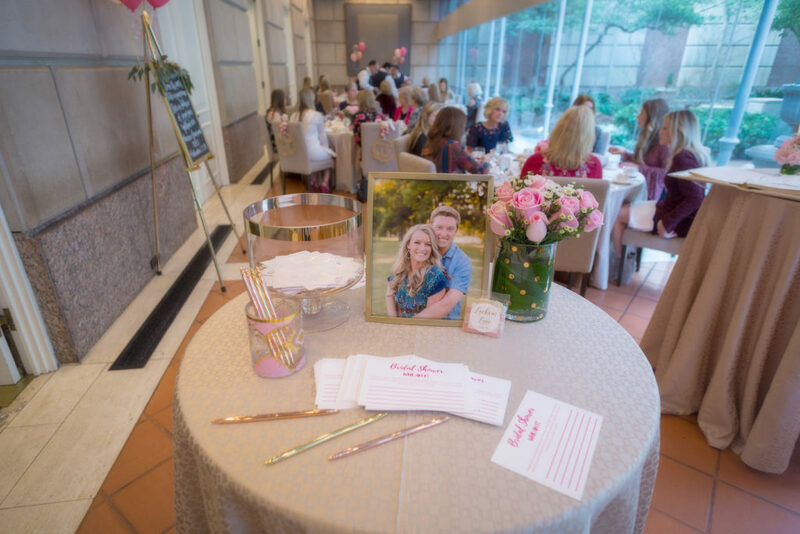 Whether it’s a bridal shower or a baby shower, there is one person that you are honoring. 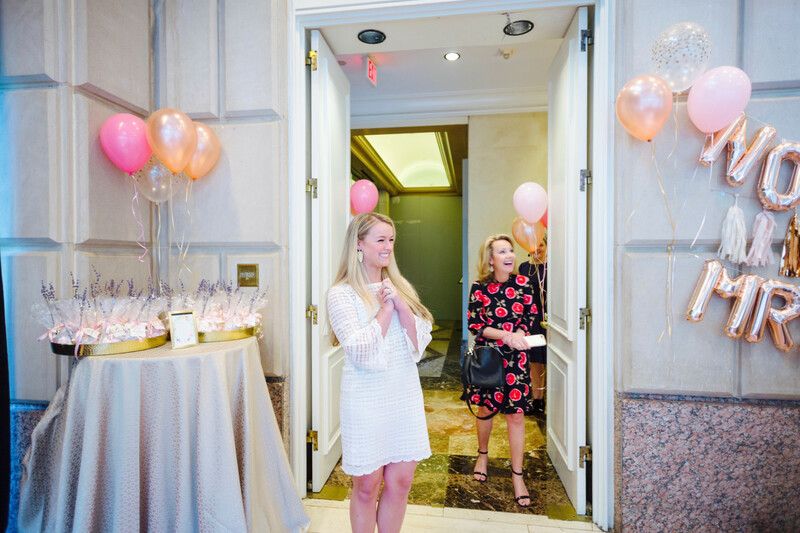 This is an exciting time for everyone, but so many times the spotlight is shifted to high maintenance family members or sometimes even the hostess. However, it is the hostess’ job to keep the attention on the guest of honor and to make sure that she feels extra special. This reaction made it all worth it. 2. Invest your time in the details. 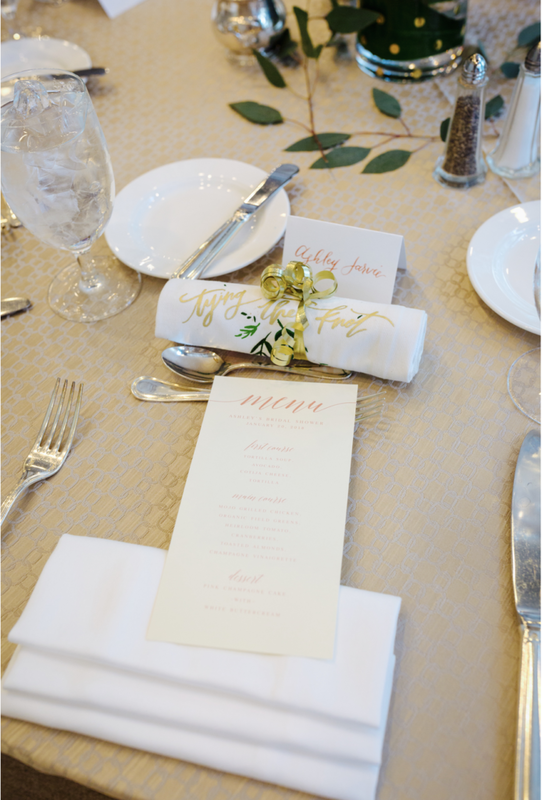 These are the parts that will make the guest of honor feel extra loved and special. 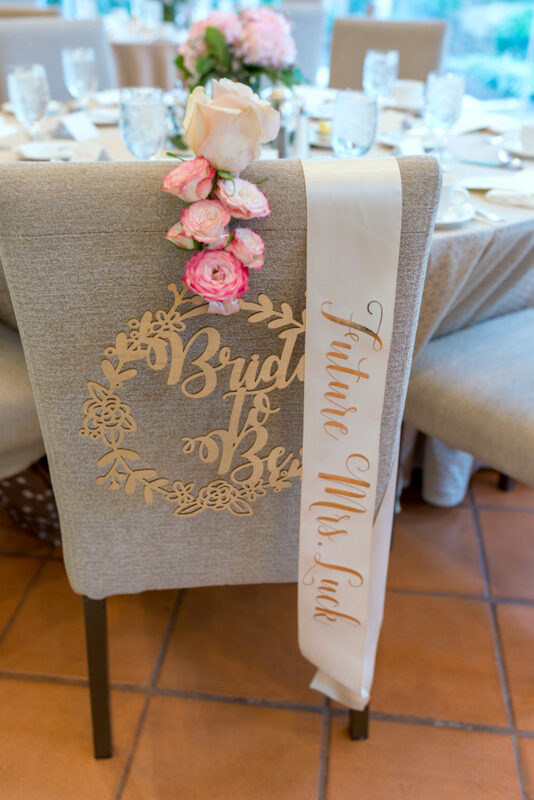 Whether its leaving a small gift at her chair or personalized touches, like this sash, around the room. 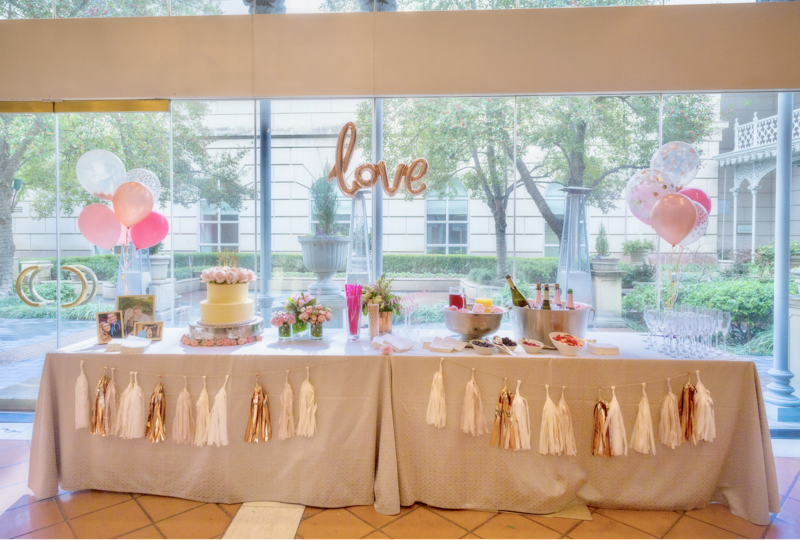 These details are inexpensive ways to show her love and to make this season of celebration so sweet and memorable. 3. Etsy is your best friend when it comes to finding these details. You can find so many sweet items that add a personalized touch to your event. 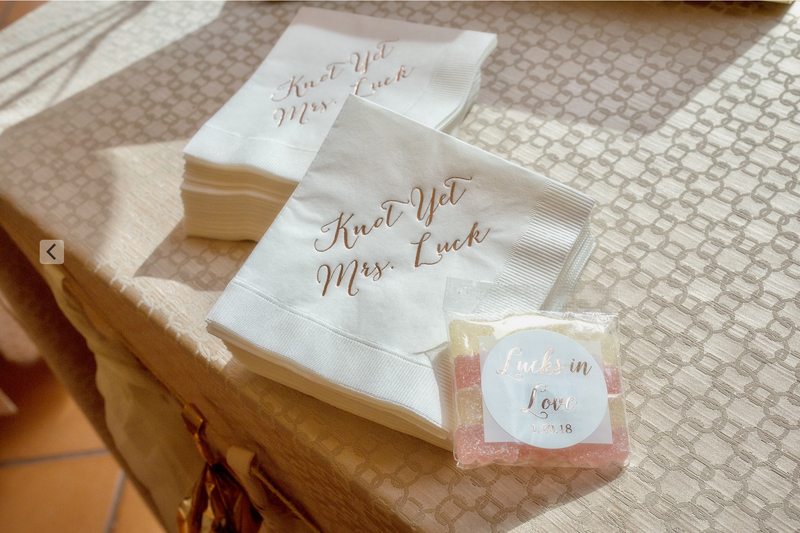 We found this cake topper, these favor tags, personalized napkins and drink stirrers, letter balloons and so many other things that filled the room with love for the bride. 4. 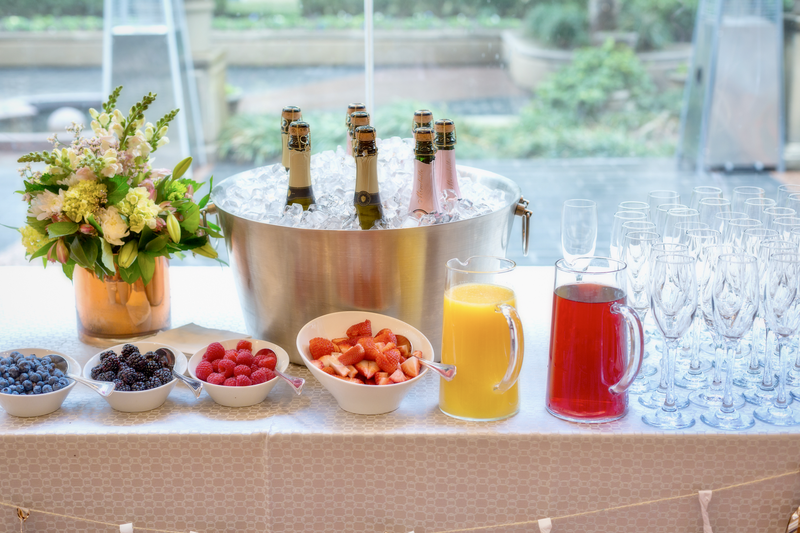 If you’re in a stage of life where you are hosting multiple showers and parties, invest in 8-10 simple, versatile vases that can transition easily from event to event. You will save money in the long run! We took these vases to our local grocery store vases (Tom Thumb at Preston/Forest!) and they created beautiful arrangements for so much less because we had our own vases. We found these vases at Hobby Lobby. 5. 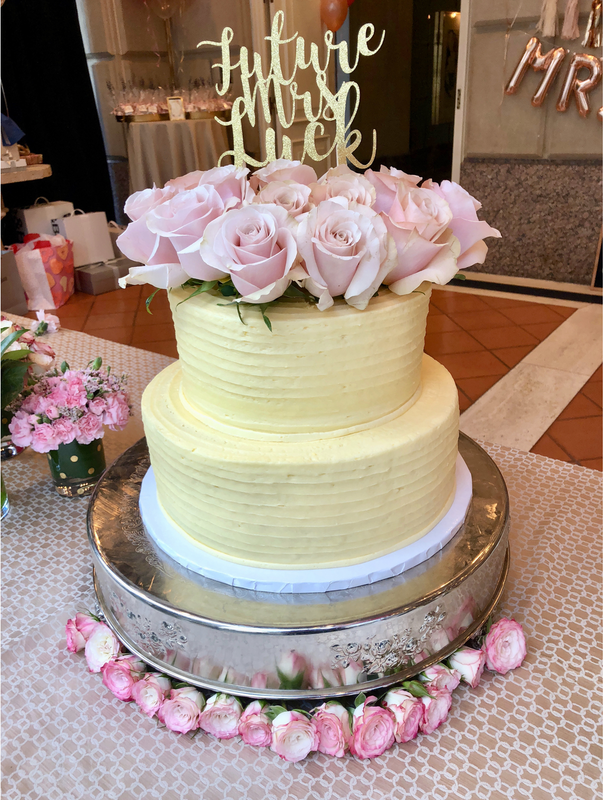 Walk around Hobby Lobby or JoAnn’s and make a list of exactly what you want for your event, like this gold chalk board and these cardboard letters that we filled with flowers. Then wait until those items are 50% off (which will happen!). I was able to save so much money because I planned ahead. 6. 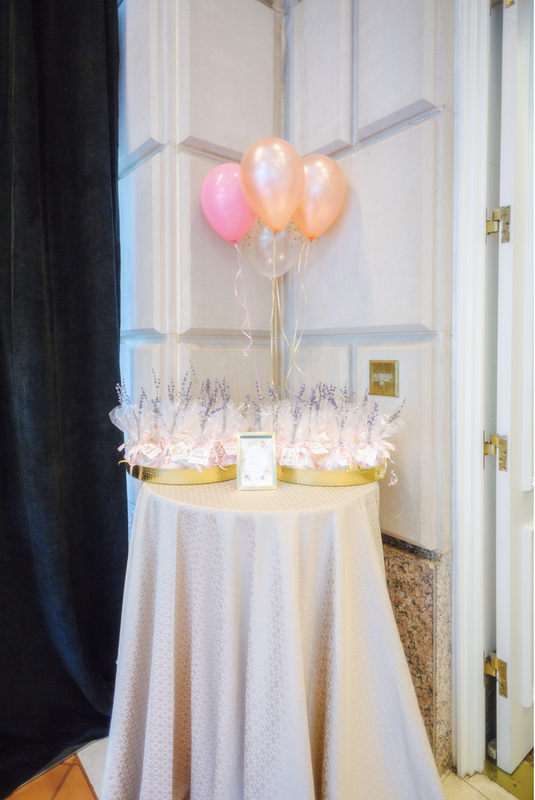 Balloons are an inexpensive way to make the room look full and bright. We found inexpensive confetti balloons on Etsy and combined them with different shades of pink balloons from the grocery store to create this look. 7. Invest in a photographer that will capture the details, the family portraits, and the candid shots so you can focus on making sure the shower runs smoothly (and can actually enjoy yourself!). Yes, it’s easy to snap a picture on your iPhone, but having these pictures will last so much longer and are a lovely thing for the bride to have. Thank you, Denise Shuff for these beautiful photos! 8. Create a space that is ideal for taking a pictures. 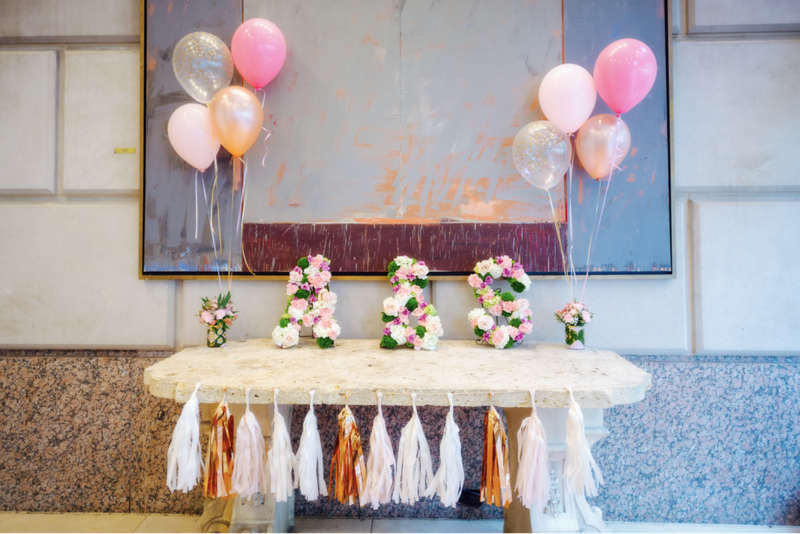 Whether its a little photo booth or a decorated wall, having this designated spot adds special decoration and makes it easy to get those special pictures you want.Using these letter balloons and these pom poms helped us create this look. However, another way to do this is to hang streamers or have pictures hanging on the walls. 9. Avoid cheesy games! The key to having a refined, elegant shower is to avoid cheesiness. I found a few shower games that are fun without being too obnoxious. 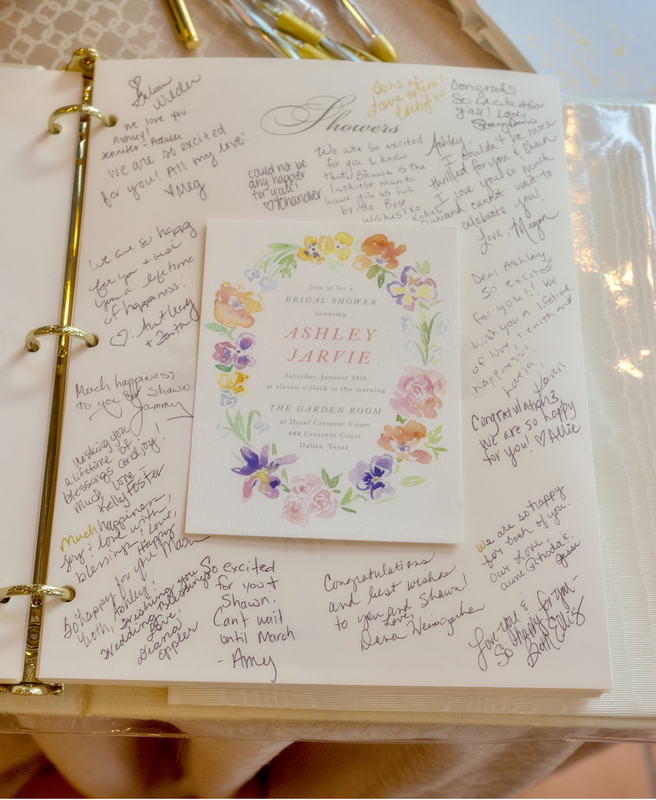 At this shower we played a game where we each wrote a memory with the bride, she then had to guess who wrote it. If she guessed wrong, the author of that memory received a prize. We used these little Sugarfina packets with these labels on them. 10. Think you might need it? Bring it! Find some reusable bags or the wonderful large Container Store bags and throw anything you may need in there. We always need scissors, tape, pens, and even a sewing kit to put everything together here. Thank you so much, Meg, for these wonderful tips! And thank you, Ashley, for letting us get a glimpse of this special day. Congratulations to you! 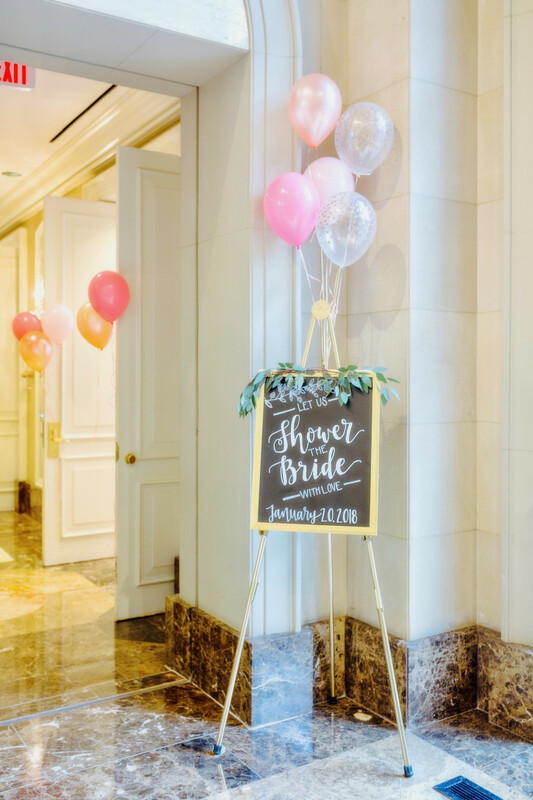 Let us know if you’d like to see more posts like this or if you have any other shower or wedding related topics you’d like DoSayGive to cover. These are such great tips! 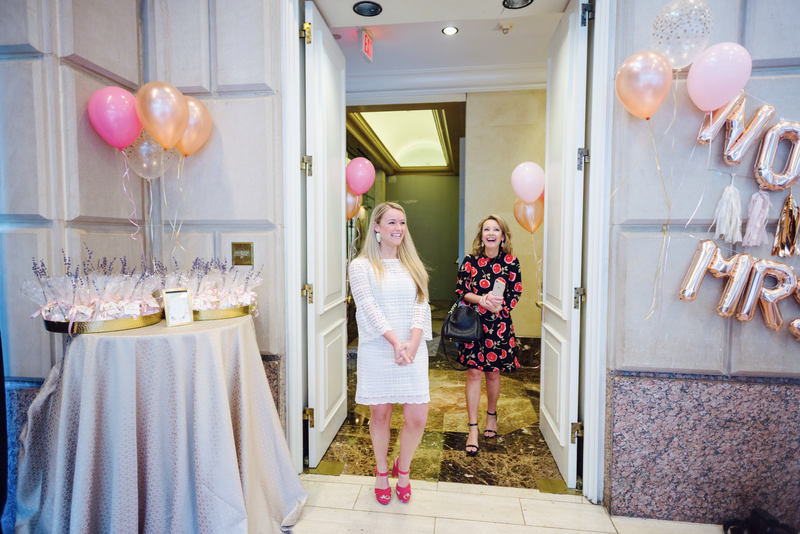 I feel like sometimes hostesses are too caught up in pulling off the most Pinterest-y shower to impress guests and they forget that it’s all about the bride or Mom-to-be. 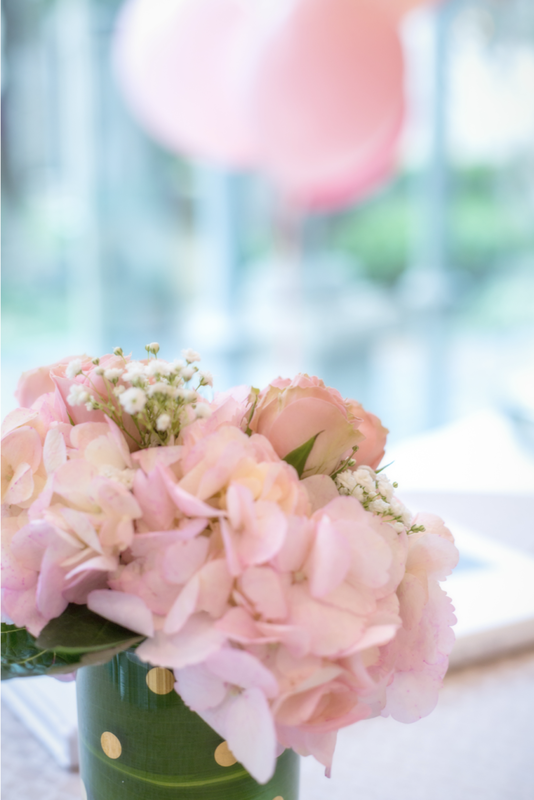 Elegant little details go a long way! Love the invitations. Can you please let me know where I can get them. Thanks! May I ask how you attached the flowers to the cardboard letters? It is all so beautiful! I used wet foam blocks and broke them into pieces to fit into the cardboard letters. We wet the stems of the flowers before we stuck them in and we put them in the refrigerator to keep them from wilting overnight. Be careful not to get the cardboard too wet or else they won’t stay up right!